Merchandise that looks good sells better, and nowhere is that truer than in a supermarket’s fresh departments. Store lighting is one of the most important elements of a bricks-and-mortar retail operation. 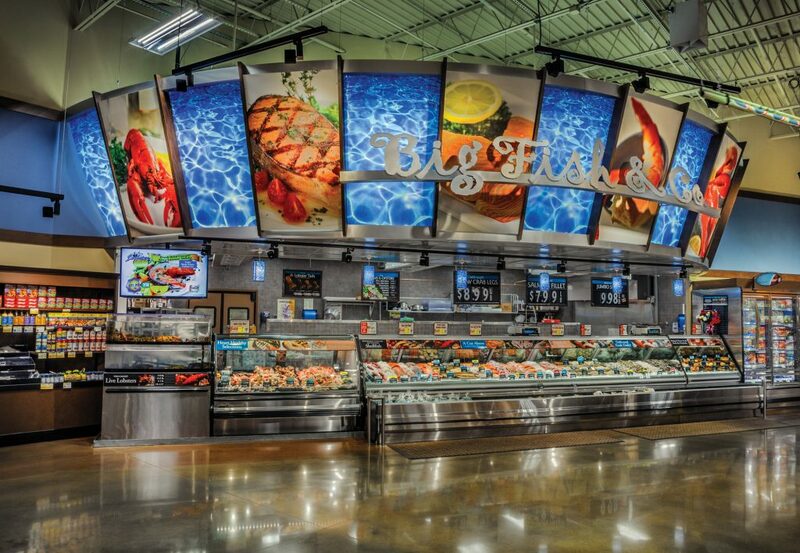 How a supermarket is illuminated makes an immediate impression on customers. The lighting provides basic illumination, acts as a wayfinding tool, sets the mood for the store, puts the spotlight in merchandise and makes it look its best. When you’re dealing with perishable products like produce or flowers, it’s doubly imperative to keep the merch moving before it goes bad. A bright red steak with white marbling. Lush green vegetables. Sparkling red apples. Nothing says “fresh” like rich, vibrant colors. On the other side, picture grayish meat with yellow marbling, browning produce and dull apples. Yuck! Above: Use the slider to see the difference a metal halide lamp and Amerlux’s high color quality LEDs. Color is a top factor in buying decisions, especially with food. According to research from the Seoul International Color Expo, 93 percent of customers list visual factors as their top consideration when shopping. Additionally, 85 percent of shoppers say color accounts for more than half of the factors they consider when purchasing a product. Color quality is typically expressed in measurements called CRI or TM-30. The Color Rendering Index (CRI) is a 0-100 point scale that measures how accurate colors appear under a light source, as compared to the sun. One hundred is a perfect score. LEDs with a score of more than 90 are considered “high CRI” and deliver high-quality light. TM-30 is a newer color scale that measures color rendering and saturation across 99 colors, rather than CRI’s eight colors. CRI is still the lighting industry standard, although TM-30 is starting to edge it out. Both are valid measures. With quality lighting, you are essentially bringing the sun into the store. Under good lighting, rich colors make for delicious-looking food. Textures come to life in the store. A light with poor color rendering makes food appear dull at best and less than fresh at worst. In other words—totally unappealing to buyers. LEDs aren’t like other light sources. Before LEDs, light sources relied on heating filaments or exciting gases inside glass bulbs to create light. LEDs are illuminated by the movement of electrons in a semiconductor material. This crucial difference allows for more lighting and options better quality light for retailers with LED lighting. 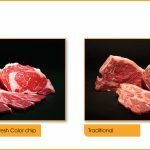 With today’s LEDs, you can tune their light output, ensuring red meat is red, green leaves are green and fish looks silver atop perfectly clear white ice. Upgrading to high-quality LED lighting is one of the rare things supermarkets can do to reduce expenses and boost sales. LEDs trim expenses by lowering energy costs and earning utility incentives. Sales go up when customers see better-looking merchandise under the new lights. On the profit side, after installing Amerlux LEDs, supermarkets report a sales increase of 20 percent on average. Twenty percent up, just from lighting. Things that look good sell well. On the cost side, the typical LED lighting upgrade pays for itself very quickly. Payback from energy savings alone is an average of 1.96 years. Accounting for reduced maintenance costs shrinks the payback period down to 1.2 years. Adding the 20 percent boost in sales to these cost savings slashes the payback period down to a few months. Amerlux has been lighting supermarkets for nearly 40-years. We know supermarkets. We know LEDs. 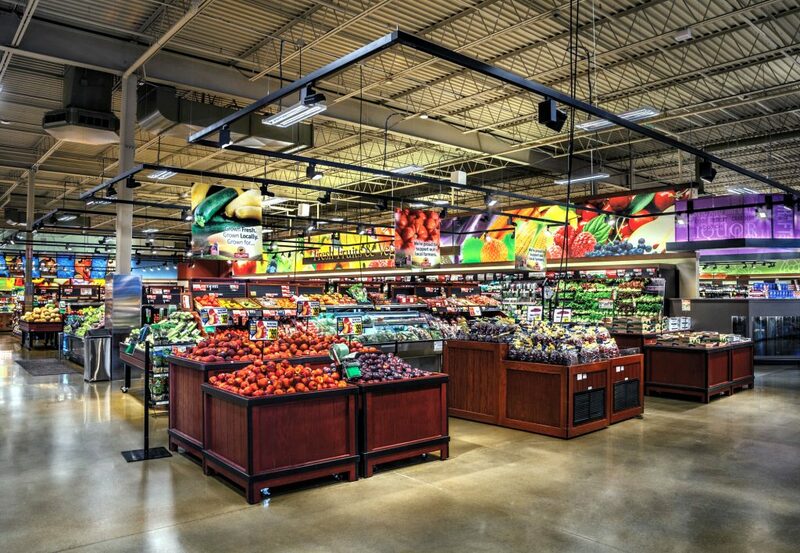 Learn more about Amerlux’s supermarket lighting solutions.